I recall a number of incarnations on 3D Earth as the "Originals" - the Original Humans - were seeded here. At that time, pre-humans had a collectivised soul, which had become evolved enough to seek out, to yearn for, individualised soul expression - it was time to sub divide into unique and separate, but connected, form. Through sound vibration and light, the hominoid vehicle was subtly adapted very slowly over millions of years so as to create the perfect 'grail' to hold the new "Rainbow Souls", which would not only be of this Earth, but also starsouls who came from across the galaxy to support the seeding - the Pleiadians, Arcturians and Andromedans for example. It is essential to add, that those supporting Humanity's evolution were not 'playing God', they were simply catalysing - facilitating - what already wanted to happen. Once the successful Originals had evolved forth, their DNA frequencies were replicated through different regions on Earth, five in all, hence the fossil evidence for a multi-regional emergence. But this was far from the end of the story. It was known by Benevolence that an Opposing Consciousness would likely intervene and try to usurp the Original Humans. And so they did: Human genetics were hybridised, so as to allow in Opposing Consciousness energies - like the raptor consciousness for example - which had already been on Earth many millions of years. So about 250,000 years ago, Homo Sapiens - the downgraded and controlled Human - walked out of Africa to take disrespectful dominion of the Earth and all sentient life - that was the Opposing Consciousness agenda. 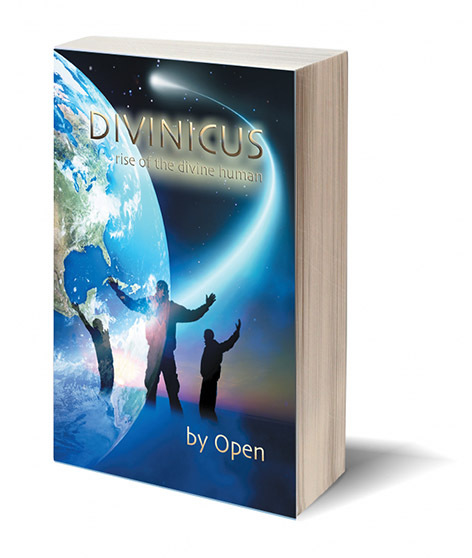 I have shared my views on this from the human fossil record, human genetics and past life regression accounts in the book DIVINICUS: rise of the divine human. Benevolence was not naive. It was known that a battle for the very soul of humanity, and for custodianship of the Earth, would ensue. This Opposing Consciousness - this "Fallen Angel" - is an ancient 'adversary'. How do you 'defeat' such intervention? The answer: by not fighting at all; by not using the terms of separation, of exclusion, of 'right' and 'wrong' of 'good' and 'evil'. For if you fight and 'win', you only castigate your enemy back into the darkness, there to lurk, so that the realigning work must begin all over again, in some other form, somewhere else down the flow. Within the very cells of Humanity, we have an enormous opportunity at this juncture in history, and along the immediate path ahead of us. 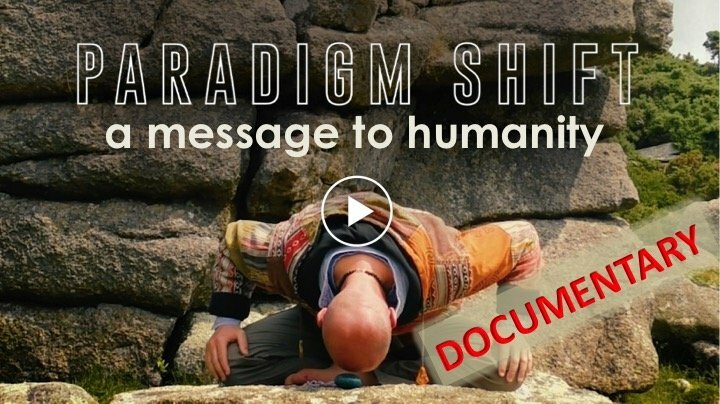 This Opposing Consciousness has infused Human DNA, downgraded and misaligned it, so as to render Humanity controllable, to disconnect him from the divine. But human consciousness has raised to such a degree now, that plenty can feel their reconnection to the divine source, and our interconnectivity with all life. Many are beginning to purge the misaligned consciousness from their being, through meditation, stillness, the inner inquiry and inner purification - through diet for example. We can realign our very DNA by following the natural flow of the Universe and embodying aligned vibrational soul frequencies. 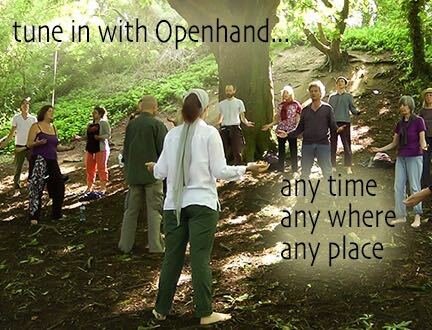 This is what we do in the Openhand Breakthrough Work. Back in 2012, I reported that the Head of the Snake had been Realigned. The Opposing Consciousness here had created a matrix of interwoven vibrational intervention frequencies - an alliance of Annunaki, Greys and Reptilian (raptor) energies. At the head of the metaphorical 'snake' were the controlling "Annunaki". I recall 'sitting in the 4D ether' with their leadership and helping to regress them back through their past life journey since the time of the tumultuous Ascension of Sirius B, and the obliteration of their home in that constellation on the planet Nibiru. They revealed that they felt they'd been 'abandoned by God' and cast adrift in space. It is then that they took to controlling and assimilating other species into their fold - like the Greys of Orion for example. I was over joyed to witness their karma being healed as they were regressed, and then leaving the matrix of interwoven energies to ascend as the realigned "Anu" into the Fifth Density. However, although a great shift, that was never going to be the end of the story. For there would still be many deceptive and misaligned energies working the field - such as the greys and raptors in the second and first densities respectively. 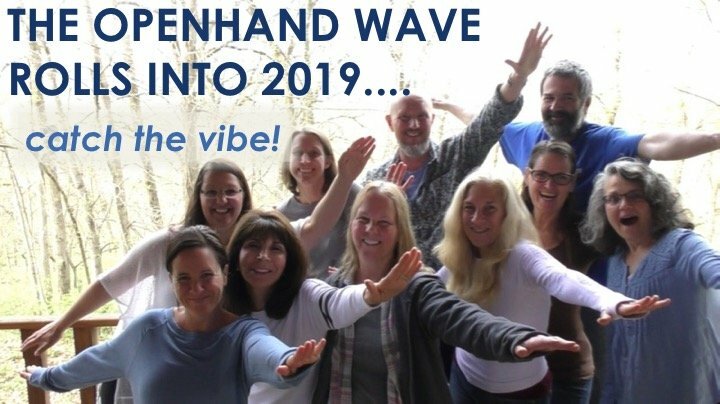 And many in the Openhand Community of late have reported other energies as they dredge the bottom of the energetic barrel - many of you have struggled greatly with the darkness through 2017. My heart goes out to you. Personally I have experienced what the Shamans metaphorically call the deceiving "Black Snake" energy (I hasten to add, this is only a metaphor, we should not be influenced into thinking some form of sentient life is evil - so I will continue to put the phrase into parentheses so you know I mean the metaphoric energy). This "Black Snake" is extremely deceptive. It works in the shadows of your psyche, playing on attachment to the old 3D karmic construct, raising its head especially in relationships for example. This is where it plays on the plain of emotions through emotional manipulation and even blackmail. Take the statement... "If you love someone, you take care of them". Seems harmless and fair enough right? But it distorts the authentic sense of compassion with the burden of obligation, and therefore the risk of disempowerment for both parties. Leaving a relationship that has reached its time, for example, might be the right thing to do, even if that means it pushes someone into grief. For on the other side of grief, is a greater sovereignty and freedom of soul; a reintegration of kundalini energy, and the manifestation of new form. BUT...only if we have the courage to overcome the attachment of the old relationship. Thus the soul is forged in the crucible of life. Another way in which the energy of the "Black Snake" deceives and limits, is through the judgment of projected realities. It forms premature fixations on a perceived reality taking place in the future, rather than being open to what the Universe itself is flowing to create. So it will take a partial truth and embellish it, then project it into reality for all to then own. It's a way of condemning souls to its own agenda, fixing them to judgments of what is considered reality should be, rather than allowing the soul to make it's own perceptions. Statements like "this is how it is", or "things will always be that way and never be any different". They're memes that easily sink into the collective psyche. In my perspective of reality, the original aligned purpose of the "Black Snake" core energy, is to bind a karmic construct together for the purpose of mutual exploration and growth - hence the binding of realities around a karmic judgment. But as that learning has been assimilated, the energy is meant to unwind, dissolve, and allow the light to release into the higher paradigm, which is now yearning to take form. It is this energy that has been distorted and works to limit the re-emergence of the divine human - to condemn to the old reality. Hence we've reached what feels to me as the "Inflexion Point" in the Shift, with the old paradigm and new pulling in opposite directions in the field. 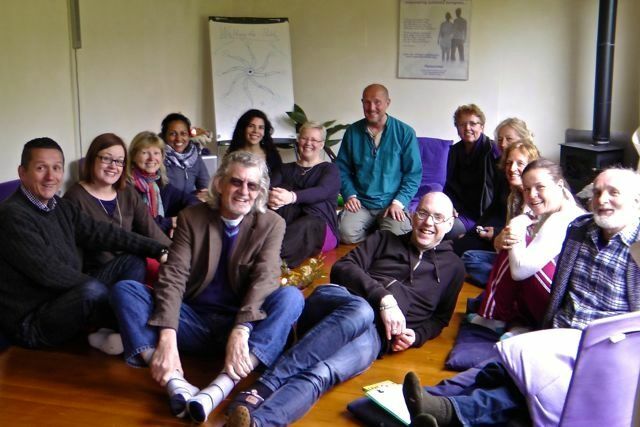 Explore the meaning of the "Inflexion Point" more deeply...How Will it Affect You? Realignment - the only real way to "win"
The "Black Snake" is being engaged as we speak. I've been out on the windswept granite wildness of Dartmoor in South West England during the festive break, connecting on the seventh ray (see the Seven Rays of Divine Purpose), forming a bridge with the local Merlin and Druid energies. I was drawn to a favourite Tor location with a circular stone, which for me, represents an Earth anchor for the Openhand higher dimensional bridging energies supporting the Shift. The stone lies horizontal at the Tor's base. It was twilight, and I was shocked to see that a black mark of some kind had stained the stone in the form of a Black Serpent. 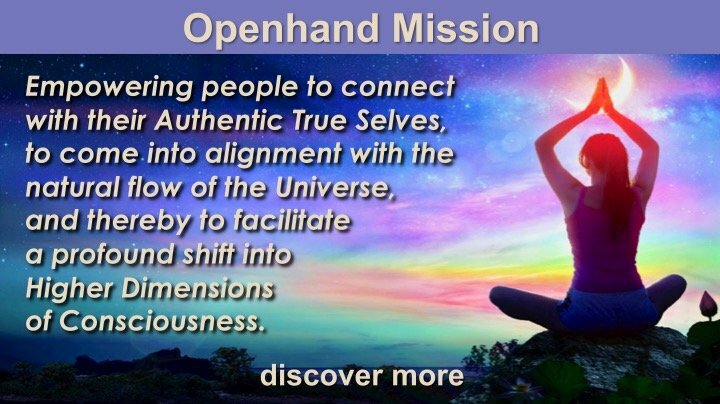 I was very taken aback, but realised that it was synchronistic symbolism of attached emotional weave within the Openhand bridge to the previous reality construct - a binding inertia, which was limiting not only Openhand, but the movement of the Shift energy itself. "What would you have me do now", I asked out into the field? "Realign the 'Black Snake' into a Green one", was the immediate reply. So all of that night, I connected out into the field, with the energies of the "Black Snake", and showed it the realigning behaviourisms of the green one - one that is now supporting the Shift, not limiting it. The next morning, even though blizzarding with snow, I returned to the stone as the sun came up across the windswept moors. And to my delightful consternation, the "Black Snake" had literally tuned green - the evening's shadow had been created from green moss clinging to the stone, the correct colour of which, I could only see in the sun light. What a fabulous affirming synchronicity! And so I say to all reading - don't fear the "Black Snake", don't fight it or try to push it away, because it will always find a way of coming back into your psyche through the polarity you create. Instead embrace it; if it comes in, allow it to be there, but be really clear about what is aligned - "Green Snake" - behaviour as you intuitively feel it. Watch for it especially in your relationships - having the courage to do the rightful thing in life, one that you intuitively feel in your heart, despite what others might say; despite initial pain or grief that you might initially catalyse. Beware the emotional blackmail of the 'should does' or 'must does'. The soul is spontaneous and free flowing - it is not afraid to be the instrument of a difficult lesson. It knows that our true relationship is with The One inside of us. In this way, when the "Black Snake" enters our field, we encourage it to realign its behaviour and to let go of the old karmic construct, which is now unwinding through the field. Activation of the "Rainbow Serpent"
Imagine a child holding a collection of different coloured balloons in the wind, all held in his/her palm by tethering strings. So it is with Gaia - it is she that holds the anchoring roots of the collective consensus construct, it is she that accepts a particular form of sentient life to the consensus reality. She holds the 'strings' of each life form and tethers them on Earth. Original Humanity's collective 'string' is the Rainbow Serpent, which has been suppressed, blocked, pushed down and usurped through the aeons. Well now the Rainbow Serpent is beginning to rise again. How can we each help it? Go deep into the inner inquiry. Meditate. Breathe. 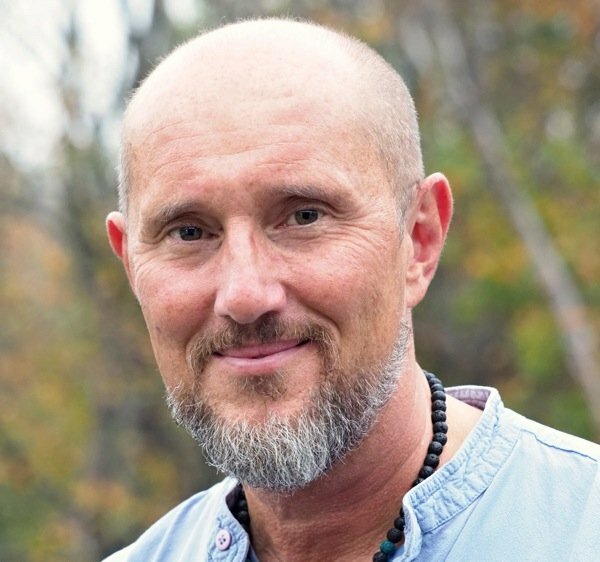 Connect with Gaia. Connect with your soul family, be they from the Pleiades, from Arcturus, from Andromeda, from Sirius, Orion or Draco. Even if you don't know where, it doesn't matter, simply work to embody your natural home frequencies - those that feel authentically right. Become the uniqueness that you are. Let your aligned soulful energies begin to sing through you. Let go of the fear of being different, or the possibility of being called 'maverick', 'strange' or some kind of 'weirdo'. We have reached a point in our collective evolution, that even though there are still plenty among us with racist, sexist or speciest tendencies, nevertheless, there is space and encouragement by the general collective, for us each to step out and be who we truly are. At this phenomenal time to be alive, I encourage all to unveil and express your authentic beingness, and to not fear the apparent consequences - because you'll find the supporting hand of benevolence comes to meet you. I leave you with this incredible song by the wonderful star soul Peter Gabriel, which did much to inspire the rise of South African's Black People during the peaceful confrontation and dismantling of aparthied there. At this time, it seems very significant to me, as a call to action, to the Rainbow Serpent helping the divine human in us rise once more. The wind will blow it higher..."
Wow, what a powerful article Open! Thank you for this gift, you have given us all! How important it is to realise this, that behind every distorted, misaligned energy is an aligned core, serving a benevolent purpose. That even the most ugly, controlling or invasive energies are part of the ONE and have beauty at their core. Seeing this, it is easy to reflect that back to them. Secondly, I loved your personal story about the black snake on the rock. Interestingly you typed that in the morning the black snake energy had 'tuned' green. I don't know it this was intentional or if you originally menat to type 'turned' - but it stood out to me as I thought, 'yes, this kind of energy work really is like 'tuning'. It's like tuning an instrument, finding the sweet spot of each individual string or key so that it blends into harmony with the overall sound - then playing it (expressing) - the whole erray of human experience lies within that harmony. "Tuned and not Turned!" - yep, the keyboard must have typed itself and found the right meaning. I'm finding that more and more - the flow being able to speak through everything! I am fixated and have a stronger believe a certain reality will definitely manifest itself bound strongly by the belief systems of our collective status quo reality. (like you already mentioned above and a very poignant one). Yes and also relationship-issues and especially boundaries are a clear manifestation of this gorgeous, velvety, ivory-black snake. In my case: I had to be mindful of what others expected of me especially now this old me is crumbling apart. sexuality (trying to) manifest in old power-driven ways. This is an amazing, powerful article Open, indeed a gift and a much appreciated mirror. I recognize this in my present experience...."In my perspective of reality, the original aligned purpose of the "Black Snake" core energy, is to bind a karmic construct together for the purpose of mutual exploration and growth - hence the binding of realities around a karmic judgment. But as that learning has been assimilated, the energy is meant to unwind, dissolve, and allow the light to release into the higher paradigm, which is now yearning to take form." It has felt for a long time that there is a containment of two oppositional directions within me, but the intensity over the last few months has become so intense...and felt like tearing apart in the center of my chest. Even though there is movement in a direction that feels aligned with the higher flow there has still been attachment in the old reality - a part of me not wanting to let go. Interstingly for me, the reflection from those co-creating with me has shifted so much that it won't even allow me to stay stuck in the old emotional attachments to the dying reality constructs....it's transformed and all the elements of it are ready to reshape...so I can only let go or torture myself. A couple night ago I saw the film "Downsizing" and witnessed a powerful reflection. The main character is distraught at the nearing end of the world (brought on by the methane gas releases in the Antarctic) and torn between heading into a vault deep in the earth to "save the species" or to engage with the world as it (and he) transitions. He is in a tunnel pulled between going down and holding onto an old reality or exiting the tunnel through a rapidly closing door to the new. This shifted something inside of me and I expressed all the stuff I have been containing...all the confusion and the directional pulls that are wrenching me inside and found again the thread of truth within me. Literally the next day, the reality was free to shape in a way that had been challenged up to now. It feels like I needed to resolve my resistance and now it is finally firmly moving in the direction that feels absolutely right. I feel finally released in a way that I haven't up to now and excited to see how this will all reshape ?. 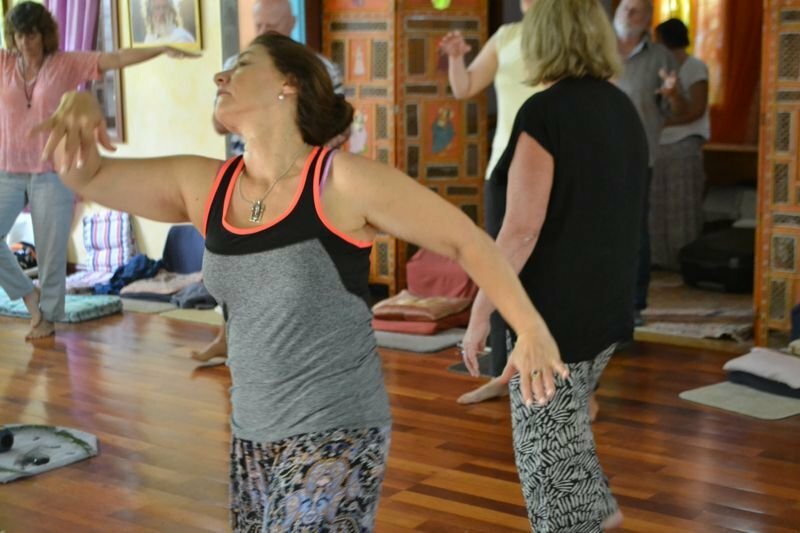 Realigning the energy of the "Black Snake"
Hi Rich, Apollonius, Jen, thanks so much for the supportive feedback. "Black Snake" - satanic - energy is not always easy to write about. But people are experiencing it at the 'bottom of the barrel' and so I've felt it necessary to bring it into the Openhand community awareness. I know plenty who have been seeing this metaphor in the energetic field, and it does help greatly in working with it. So I encourage you all to keep working with it - working to realign it in our lives, which sends ripples out into the wider field and helps to realign it in general. And we're getting bags of support from benevolence through the ether.